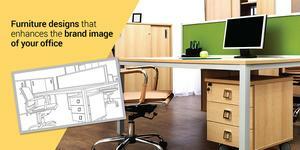 Office furniture is the soul of your office space, and an excellent place to express your brand and work. Today’s office furniture come in a vast array of designs, sizes and color. Hi-Tech Engineering Services provides modern office furniture design services to interior designers, architects, woodworkers, furniture manufacturers, office owners and more.